Energy efficient IP65 rated integrated LED bulkhead suitable for surface mounting. 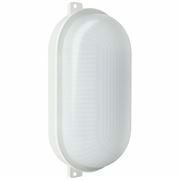 Constructed from tough corrosion resistant plastic with a white finish with opal diffuser. Ideal for wet weather outdoor applications with IP65 rating.